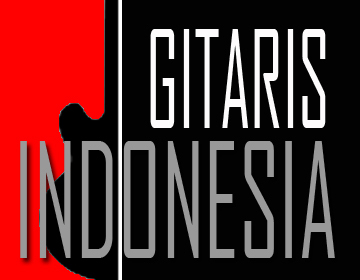 www.gitarisindonesia.com - Satriyo Yudi Wahono used to be called Piyu is a rock guitarist from Surabaya. 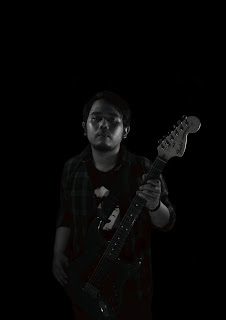 Piyu is the band's guitarist Padi, Piyu has joined other bands such as Crystal, Airo, Rotor, Outsider and Lost Angels. Piyu is the management and producer of the new music group, Drive. Piyu had tried acting to participate in the film Tina Toon & Lenong Bocah. In the children's comedy genre film. He acts as a school guard, as the beginning of learning to work on a soundtrack album. He has also founded E-Motion Entertainment studio and owner of the NUSHOCK distro. 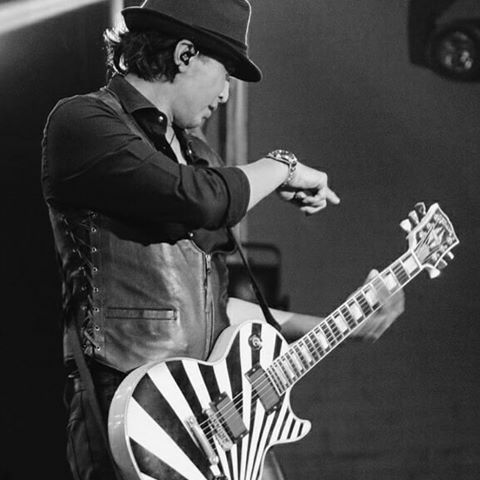 In 2013 he had a cameo in Slank No Dead. In 2014 he released his first solo album and became Original Soundtrack in the movie Aku Cinta Kamu with Starvision Plus, IndiePicture and UpBeat Publishing, the company's film company. In this film piyu describes the story of the songs his creation is Cinta Itu Adalah Sakit Hati, and Jernih. Not only that, he also became a cameo, music stylist, and producer in the film. Lain dunia (1999), is the name of the first studio album of the Indonesian rock band Padi. The album was released on August 6, 1999. The album sold about 800 thousand copies. Overall the songs in this album is carried on the basis of rock music. Sesuatu Yang Tertunda (2001), is the name of the second studio album by Indonesian rock band Padi. The album was launched on July 2, 2001 and is one of the best selling rock albums in Indonesia. Save My Soul (2003), is the name of the third studio album of Indonesian rock band Padi. The album was launched on June 18, 2003.Padi (2005), Padi is the fourth eponymous studio album of the Indonesian rock band Padi. The album was released on May 9, 2005. This album is an album to accompany the movie Ungu Violet, starring Dian Sastrowardoyo and Rizky Hanggono, by waiting for An Answer as the main single. Tak Hanya Diam (2007), is the fifth studio album from Padi which was released on November 16, 2007. This album spawned a variety of singles, among them the Comforter, Do not Come Tonight and Harmony. The Singles (2011), is a compilation album from an Indonesian band, PadI. Finally after 4 years, this album has been launching on Tuesday, October 18, 2011. Sakit Hati (2014), is Piyu's music album. Released in 2014. The main song on this album is Heartache. Best Cuts of Piyu (2016), Best Cuts of Piyu is a compilation album as well as Piyu's second album. Released in 2016. The album features the best 11 songs as well as the famous composer Piyu whose song was released with her previous band, Padi, and when solo, also 11 songs was sung by 11 talented young artist musicians. Produced directly by his best friend since his career as a musician, Kunto Handoyo, and his colleagues, Noviar Irianto, and Rama Pratama. The main song of this dialbum is "Menanti Sebuah Jawaban" by Firly Firlana and "Rapuh" by Barsena Bestandhi. This album is only sold distore KFC throughout Indonesia. PADI was originally one of the campus bands in Airlangga University (Unair), Surabaya. The band consists of Fadly (vocalist), Piyu (guitarist), Ari (guitarist), Rindra (bassist), and Yoyok (drummer). Before they become what they are today, they used to struggled just to signed a record deal with major recording company. But unfortunately most of them rejected PADI. But that didn't stop Padi to keep on tryin', on the other side the rejection made them recorded lots of demos and they delivered the demo by them self from Surabaya to Jakarta. On one occasion, Piyu the lead guitar once said "Band player have to feel suffer before they became famous. Living in suffer trained us to survive and exist in our own world".